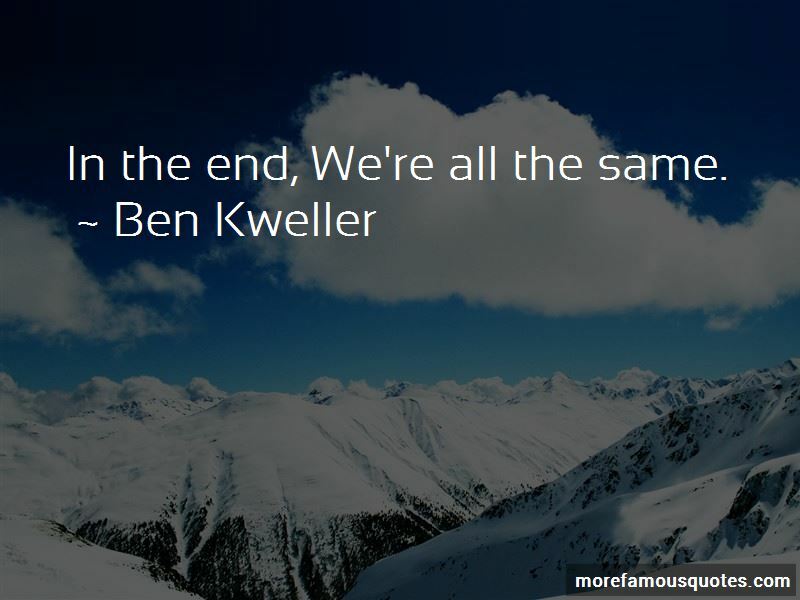 Enjoy the top 4 famous quotes, sayings and quotations by Ben Kweller. right now I really like 'I Put a Spell on You.' I don't know who actually wrote it; it might be a traditional, or like, an old blues song, I haven't looked in the liner notes, but it's the first song on their first album. I love all the hits; I mean @#$%&, I like every one of them. I think my favorite song by John Fogerty is 'Have You Ever Seen the Rain?' They're my favorite American band of all time, totally. In the end, We're all the same. 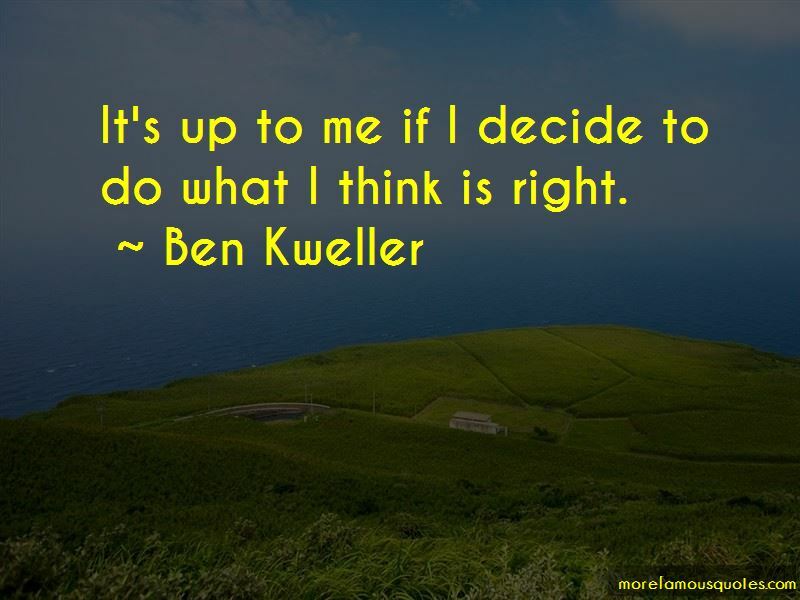 It's up to me if I decide to do what I think is right. 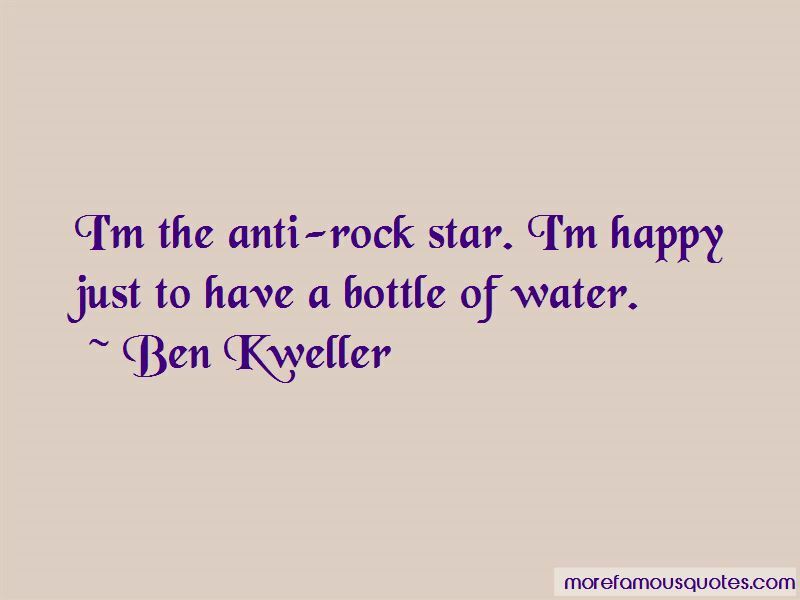 Want to see more pictures of Ben Kweller quotes? 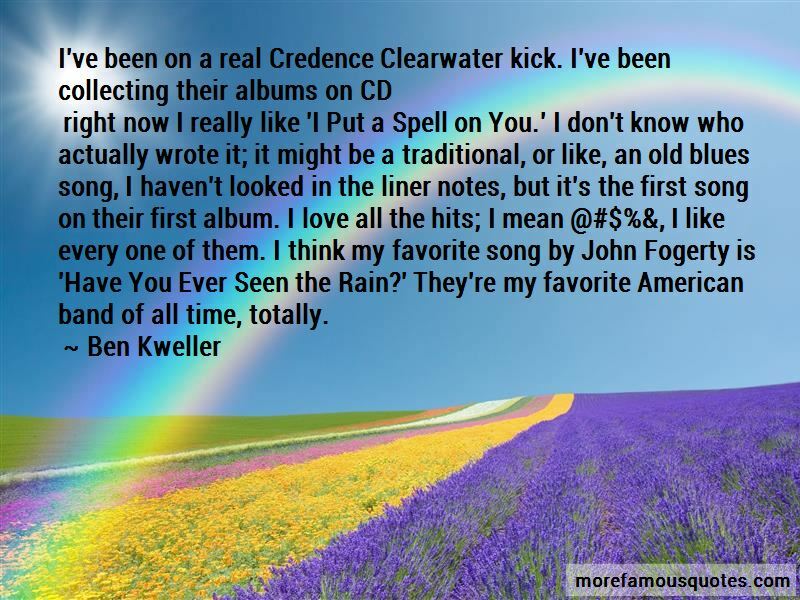 Click on image of Ben Kweller quotes to view full size.